Exciting! 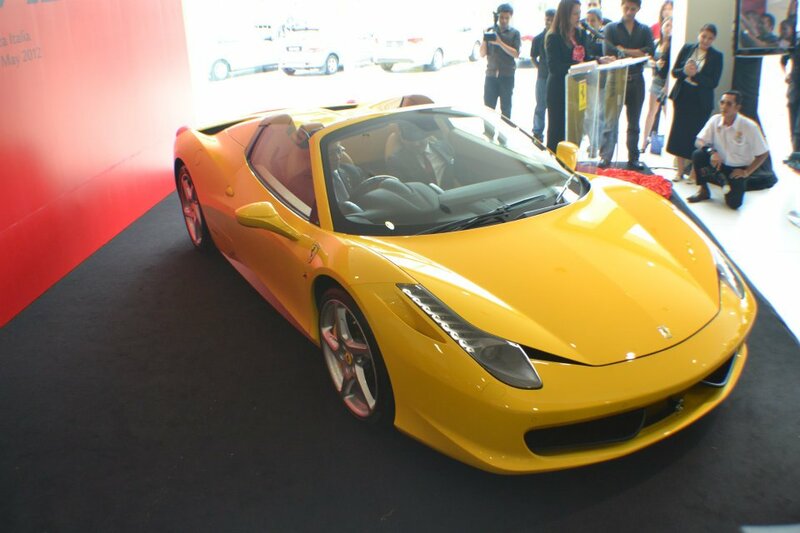 The new Ferrari 458 Spider is now here on our shore and we were lucky to be part of the event yesterday. Even though we are mainly covering about motorcycles and motorsports, but when it comes to Supercar we just couldn’t resist the temptation for being there to cover it. 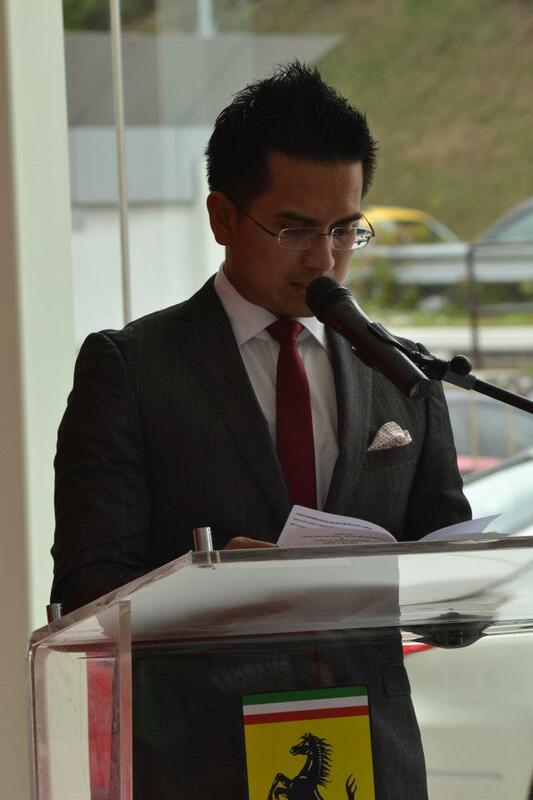 We had our media team to cover the event which was held at the Naza Italia showroom in Petaling Jaya. 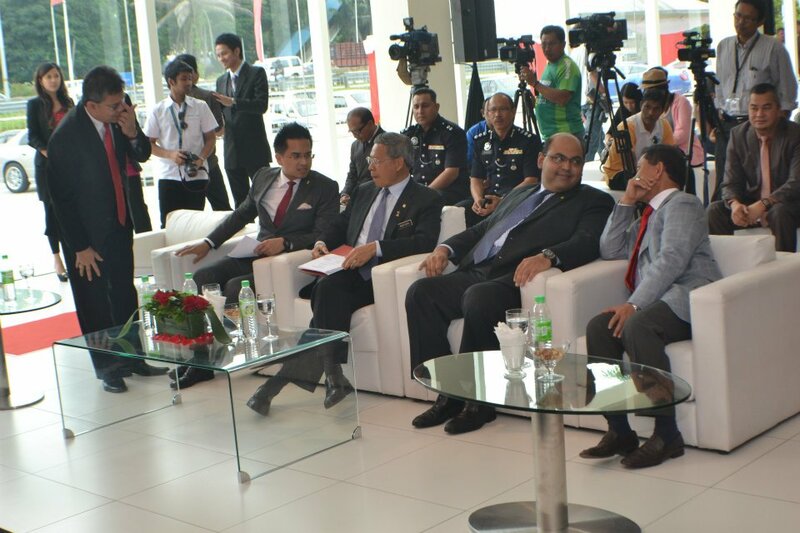 The ceremony saw Datuk Wira SM Faisal Tan Sri SM Nasimuddin, Naza group of companies joint group executive chairman and YB Dato’ Sri Mustapa bin Mohamed, minister of International Trade and Industry present for the launch of the new 458. The new 458 Spider comes equipped with the same technology as it’s 458 Italia brother. We like to quote what Ferrari stated when it was revealed last year, that they have built a similar car but not a twin. The car comes with a hard top in a normal look but it only took 14 seconds to be hidden somewhere behind the seats and there you go, you have a convertible. It sure is exciting for it’s owner or anyone who is lucky enough to drive it as they can now clearly enjoy the beautiful melody being sing by the 4,499cc engine. Not much can be said as we haven’t test it yet and probably won’t have the chance to do so. Therefore, all we can say just by hearing and looking at it. This car is simply amazing in almost every aspect. Feel free to watch the official Ferrari 458 Spider video below. Stay tune with us for more exciting news updates.